China has donated $1 million to the United Nations Refugee Agency (UNHCR) for Syrian refugees. The funds are primarily for provision of emergency humanitarian supplies to Syrian refugees in Turkey, the UNHCR announced on Wednesday. “UNHCR is very grateful to the Government of China for this important and timely humanitarian initiative to help the Syrian refugees,” Carol Batchelor, UNHCR representative in Turkey said. The UN has called for a $1.5 billion fund for what it says is the fastest-deteriorating humanitarian crisis on the planet. UN officials say they have received less than 20 per cent of financial pledges. 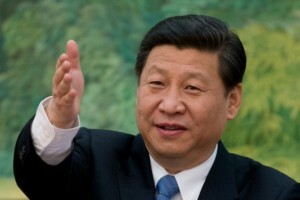 The money provided by China will also be used for winterization of the refugee camps, according to the UNHCR. Batchelor called for the international community to support refugee hosting countries like Turkey given the current needs and the high numbers of refugees continuing to cross borders every day. Meanwhile Russian President Vladimir Putin says Moscow is willing to host an international conference on the humanitarian crisis facing Syrian refugees fleeing their war-torn country. UNHCR statistics showed that the total number of registered Syrian refugees in neighbouring countries or awaiting registration is more than 710,000. The number of registered refugees in Turkey has exceeded 160,000, who are accommodated in 15 camps in seven provinces. Syrian refugees are now in Egypt, Jordan, Iraq, Lebanon and Turkey.